The buckle may become stuck in a latched position, making it difficult to remove a child from the seat. This could prove critical to a child's safety in the case of an emergency. No injuries have been reported. 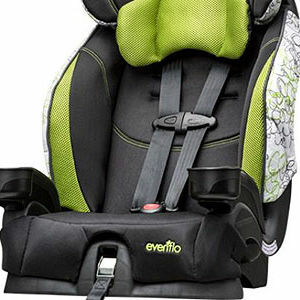 The recall includes 1.3 million child safety seat buckles used in a number of children's convertible and booster seat models manufactured between 2011 and 2014. The models include Evenflo's Momentum, Chase, Maestro, Symphony, Snugli, Titan, SureRide and SecureKid. The affected seats have model number prefixes of 306, 308, 310, 329, 345, 346, 371, or 385. Evenflo will provide replacement buckles and instructions for installation. For more information, contact Evenflo at (800) 490-7591 or go online to buckle.evenflo.com.